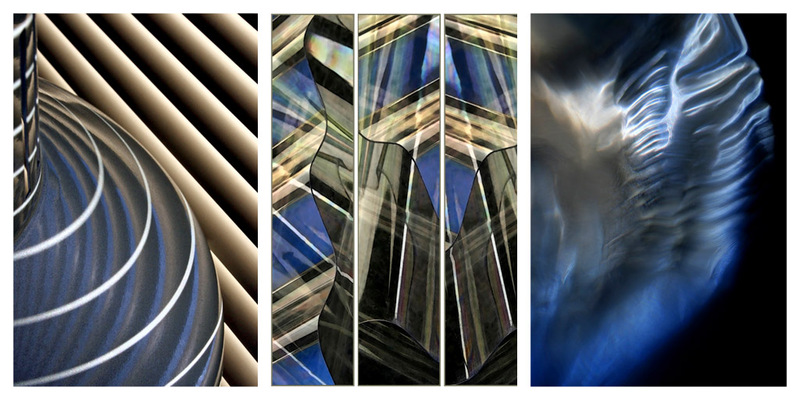 I love creating Triptychs. They’re great fun, a great challenge and a great pleasure to undertake. For a long time my focus had been on creating single images, but a new door opened when the Dunedin Camera Club had an image of the month challenge. Club members were tasked with creating their own triptych, and this provided the initial impetus for me to give them a go. Very quickly I became hooked! 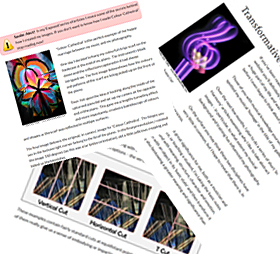 Immediately I could see how well my abstracts would lend themselves to this genre and I started to search for images which I thought would be suitable candidates for transforming into triptychs. 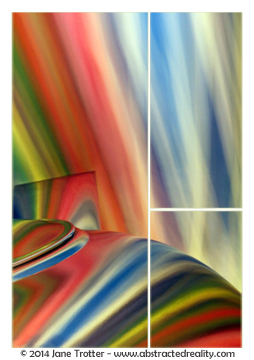 In fact, one of the very first images I played with was ‘Splay of Colour’ which you’ll find in the ‘Toccata’ gallery. I was excited to try something new and move in a different direction with my photography. It wasn’t so much a departure from what I had been doing before, but rather, I viewed it as an extension and expansion of my existing photographic vision. I’d always enjoyed the freedom of making abstract images. Much to my delight, I found working with triptychs captured my imagination and fuelled my curiosity even more. I enjoy the creative challenge in their construction – the opportunity to expand my thinking and approach towards an image – to extend compositional boundaries. The opportunities to explore different cuts, crops and image combinations are numerous and I have spent many an hour in frustrated bliss pondering such dilemmas. What pleases me the most is that, even though I’ve ventured into new territory, I have been able to remain true to my photographic goals and principles – these have not changed. The base image or images for my triptychs are still all taken ‘in camera’. 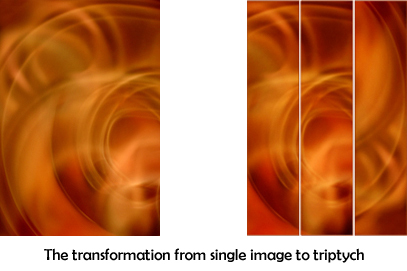 My journey into the world of triptychs has been enormously rewarding and satisfying. I can confidently say that transforming everyday objects has never been so much fun!